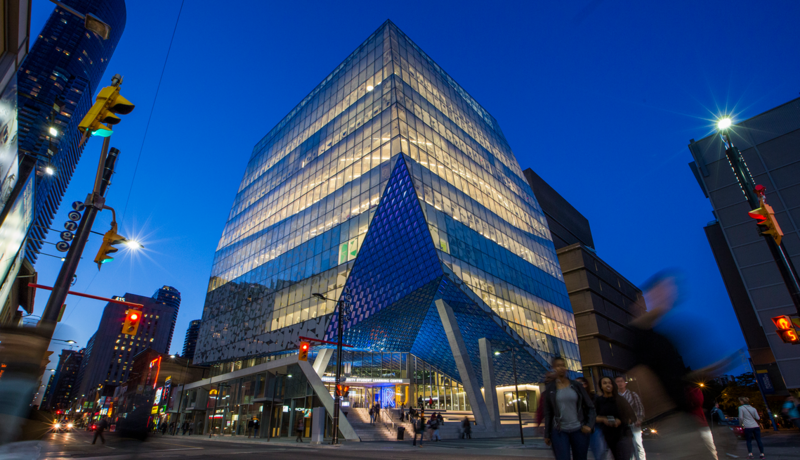 Ryerson Student Learning Centre – Welcome to your world-class learning destination. The Sheldon & Tracy Levy Student Learning Centre (SLC) is an iconic structure in the heart of Toronto and a symbolic “front door” of the Ryerson University campus. It shares a physical and virtual connection to the Ryerson University Library and Archives (RULA). Together, these sister towers are a world-class learning destination for the Ryerson community. The Student Learning Centre is located at 341 Yonge Street, at the corner at Yonge & Gould Streets in Toronto, Canada. In person: Drop in to SLC HQ in LIB 272B. Or speak with one of our Specialists in red t-shirts at the Welcome Desk (first floor, inside the Gould Street entrance) or roaming around the building.